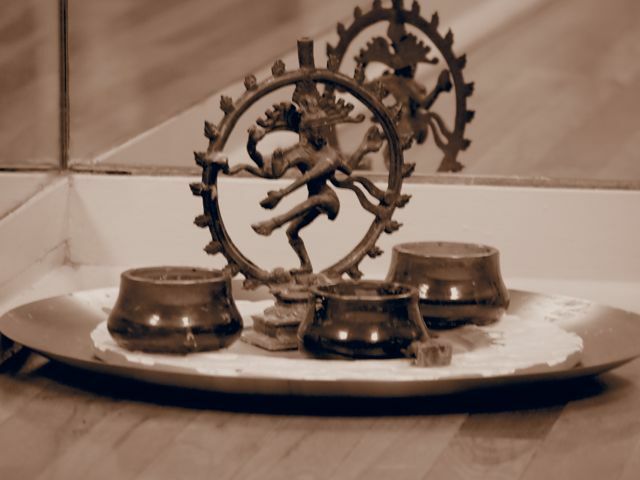 Summer 2019, 18 Day Immersion, 200-Hour Yoga Teacher Training Course: August (Mondays off). Call 619.544.0587 or email us for more information. We look forward to enjoying a fun, educational summer together! In the past, we’ve had students join us from Japan, Spain, Ireland, England, Mexico, New York, Maryland, Kentucky and more. Register by April 30th and save $600. Call 619.544.0587 or email us for more information. Reserve your space for 2020. 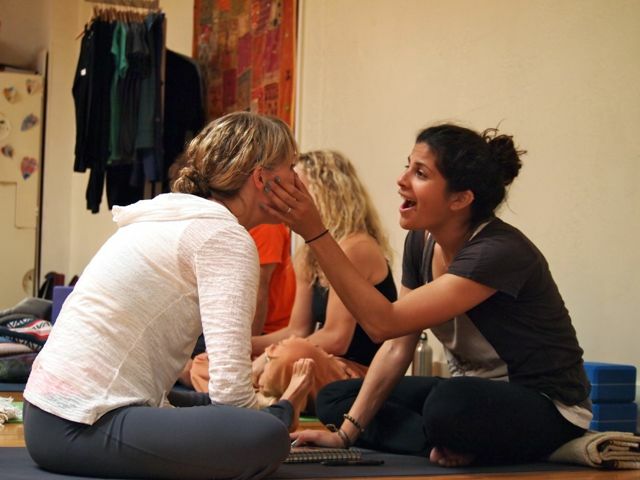 300-Hour Professional Teacher Training, Education to Enhance your Evolution: September, 2019 – January, 2020 (14 weekends, plus one weekday evening). Call 619.544.0587 or email us for more information including exact dates and times, curriculum overview and more! Registered with Yoga Alliance. Save $600 when you register by April 30th. We hope you will join us! 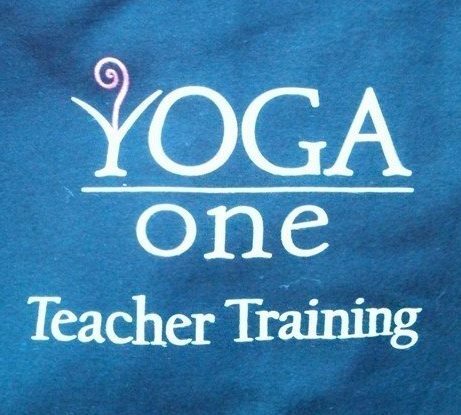 Yoga One’s Teacher Training is affiliated with both Yoga Alliance and MyCAA. Please see Topics Tab above or call 619.544.0587 for more information. We hope you will join us! 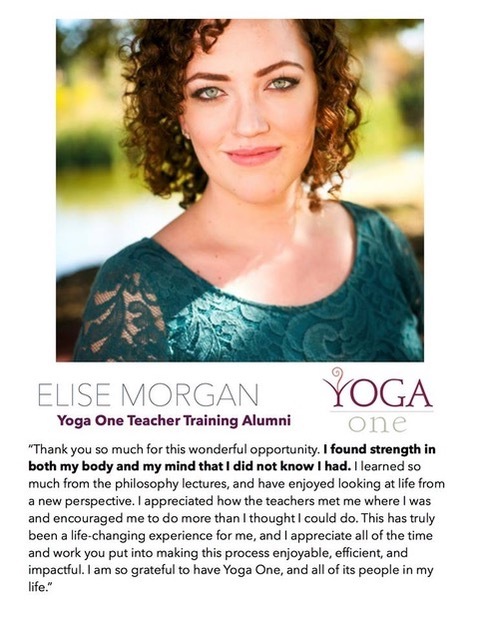 Yoga One is honored to offer each student a deep understanding of yoga and its transmission with our comprehensive 200-hour Yoga Alliance Affiliated Teacher Training certification courses. Our highly experienced teachers aare professional inspiring and embody a full range of yogic knowledge: posture practice (asana), breathing (pranayama), history, philosophy and mindfulness in daily living. We limit the class size so every student receives personalized attention and our course curriculum has been time tested, providing proven results and benefits on and off the mat. We offer tools and building blocks so each student can grow and evolve in their own unique way both as teachers and as individuals. 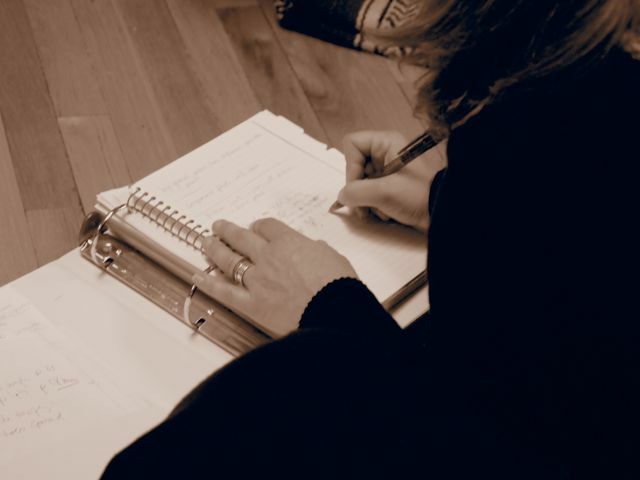 In addition to helping students deepen their practice, we will teach how to lead safe, well-balanced and inspiring classes – much more than memorizing scripts and following a set format. 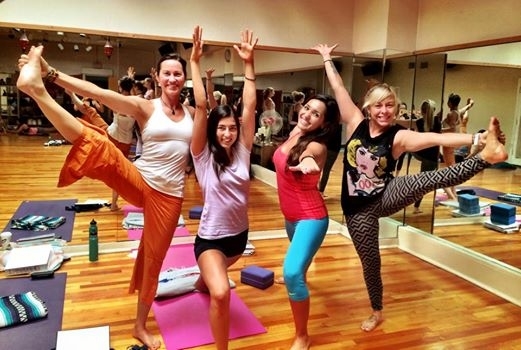 Yoga One has been training instructors to teach yoga since 2007. 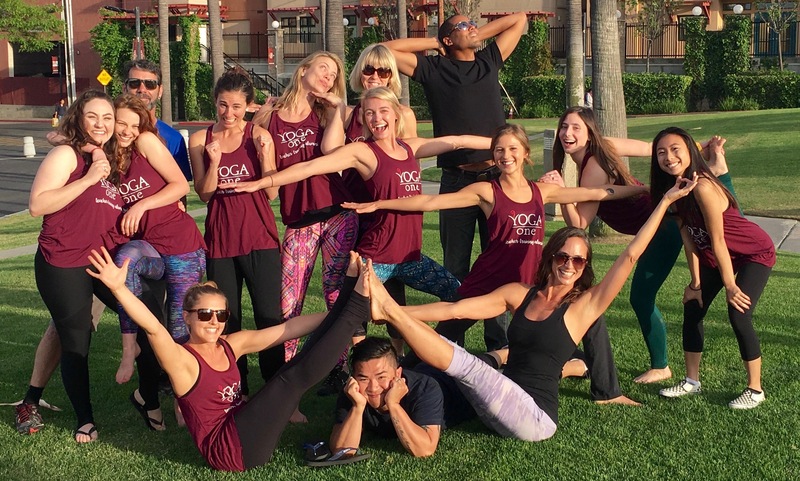 Our graduates have gone on to own or manage their own yoga studios (four right here in San Diego), lead yoga teacher trainings and retreats, as well as teaching in top yoga studios, gyms, corporations and private clients. We have had students come from as far away as London and Japan to train with us. 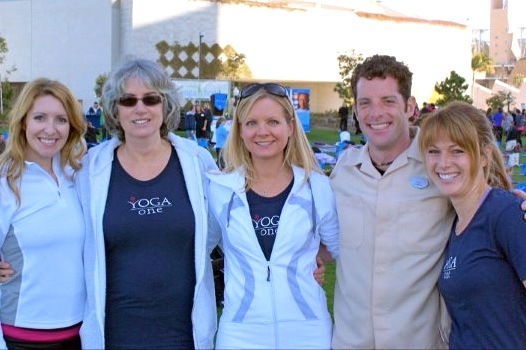 We are excited to get to know you and grateful to share the joys and benefits of yoga! Click here to reserve your space for either of our courses with your $500 deposit. Prerequisites: There are no prerequisites for our 200 Hour Course – we just ask that all students are open and committed to the study and practice of yoga with a sincere desire to learn (: We suggest that students register as soon as possible, so that they may begin taking studio classes (included with tuition) prior to commencement of the course. 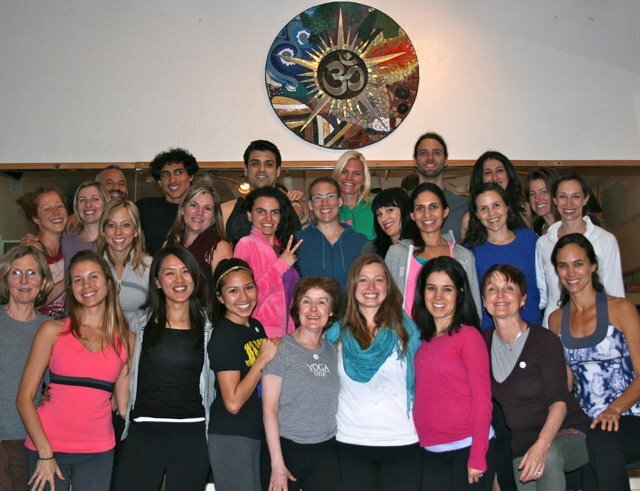 Upon successful completion of the training, students that are very new to yoga or taking the course solely to deepen their practice will receive a 200 hour certificate designated with a “non-teaching status” (which can be updated to “teaching status” at any time upon further practice and demonstration of basic teaching ability). Asanas (postures): Gain a deep understanding of the Five Alignment Steps, which are applicable to all yoga poses, as well as key teaching points, benefits, modifications / stages, prop usage, and hands-on enhancements for approximately 50 fundamental postures and 3 types of sun salutations. Learn how to safely and effectively sequence and teach classes for different levels, styles and themes. 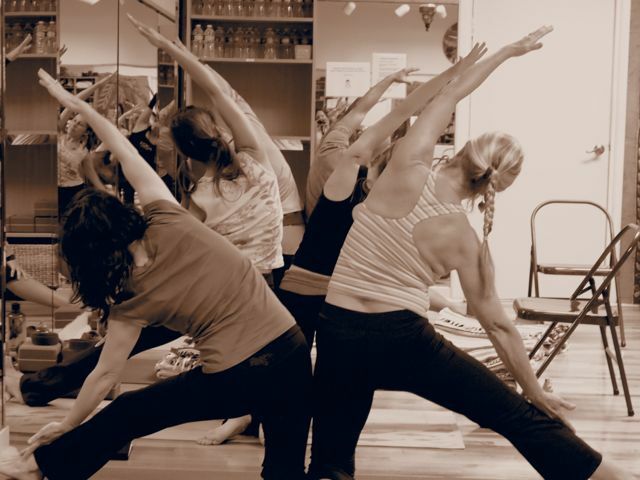 Anatomy and physiology: Learn practical knowledge of muscles and joints, and how this translates into a deeper understanding of a safe and personalized yoga practice. Philosophy and history: A well-rounded and thorough overview, including the Yoga Sutras and integration of philosophy into posture practice, class sequencing and daily life. Pranayama (breathing practices) and meditation: Introduction to techniques and benefits. Teaching methodology and practicum: Class safety, ethics and practice teaching which includes but is not limited to: giving clear, safe and accurate instructions, teaching to what you see rather than memorizing set scripts, development of your unique, personal, confident voice and communication skills, effective and inspiring class management. Introduction to the “business” of yoga including mission statements, job application processes and marketing. 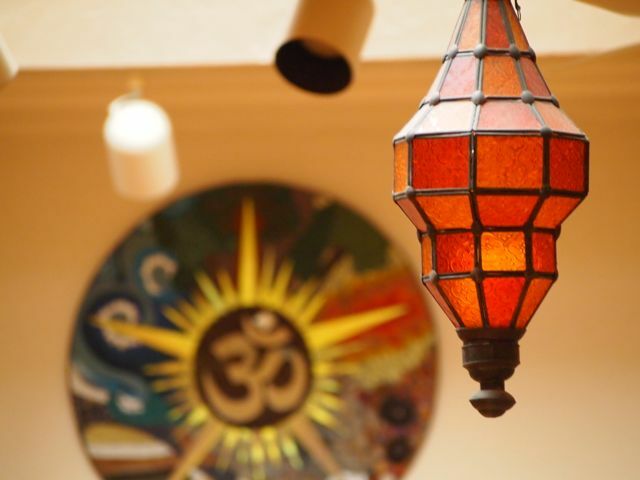 40 yoga classes at Yoga One (existing EFTs can be frozen): Enjoy attending and evaluating 40 classes as part of your tuition (classes expire on last day of course). 200 Hour Certificate: Upon successful course completion, students will receive a 200 Hour Certificate which they can share with prospective employers. 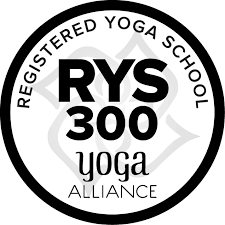 If the certificate has a designation of “teaching status” students may also register with Yoga Alliance at the RYT-200 level. 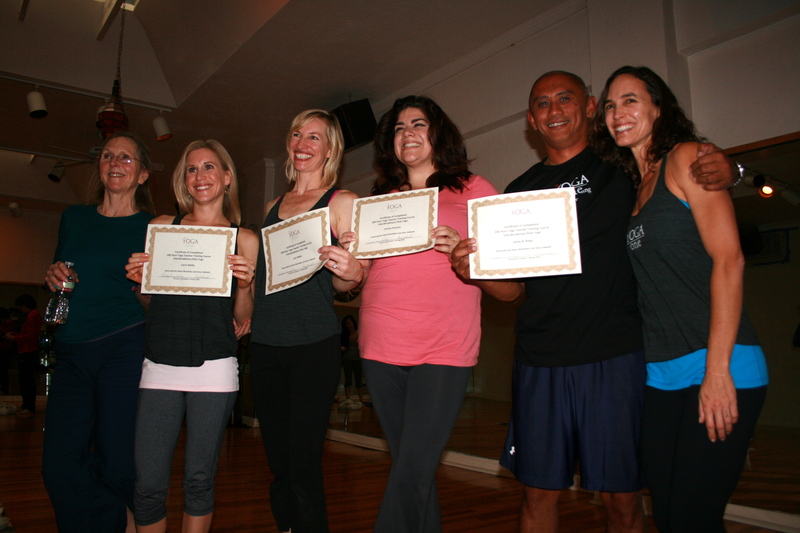 Teaching: Opportunities to teach free community classes at Yoga One following successful completion of the course. 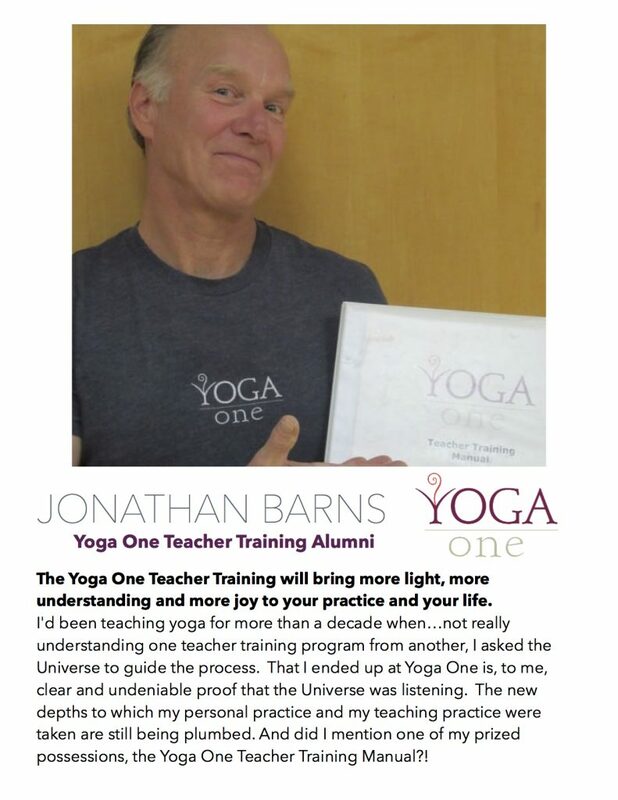 “Yoga One’s training program was amazing and truly life-changing for me and my practice. After completion of the program, I feel extremely prepared to teach others and instruct classes. 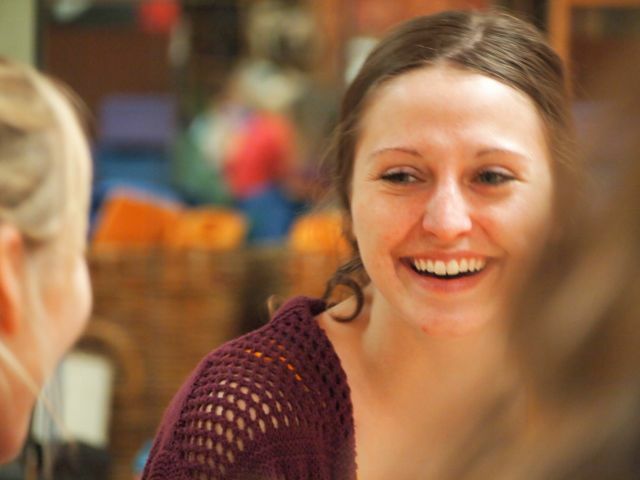 This program and everyone in the studio are exceptional and I am truly grateful for the experience.” ~ C.W. Amy (E-RYT 500) has dedicated herself to the practice, study and teaching of yoga since discovering its joys and benefits in 1997 while backpacking throughout Asia, Australia, and parts of Europe. 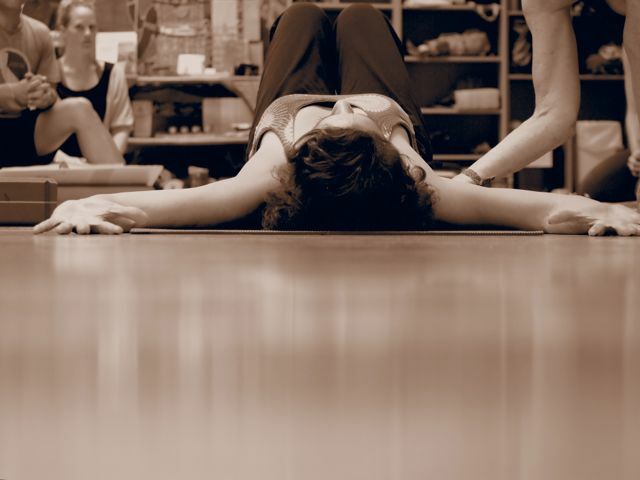 She trained in the disciplines of Ashtanga (Tim Miller, BNS Iyengar), Sivananda (Swami Sivanand, India), Iyengar (Roger Cole, Jo Zukovich, Aman Keays) and Anusara (Diana Beardsley) combining elements of these styles into a dynamic and inspiring alignment-based flow. She and her loving husband Michael have studied Vipassana meditation and incorporate its teachings of awareness into Yoga One and life with their two children. Amy has twice been featured on the cover of Yoga Journal including their 30th anniversary issue, as well as appearing inside for the “Home Practice” section. She collaborated with 3D4Medical in creating iYoga Premium for iPad and iPhone which reached the number one spot for best-selling health and fitness applications worldwide on Apple store with over 15,000 downloads in the first month. 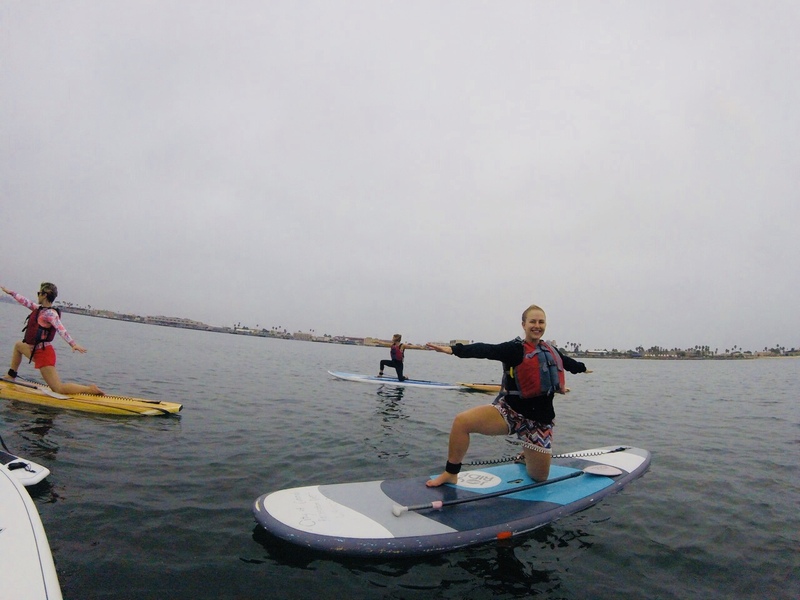 In 2014, she co-taught a class for City of Hope on the outfield of Padres’ Petco Park which raised over $80,000 to fight and treat cancer as well as leading the first ever yoga class on the USS Midway in conjunction with the Downtown Partnership and Scripps Health. Diana is a renowned Los Angeles based yoga instructor, who has been studying and practicing yoga since 1975, and teaching since 1985. 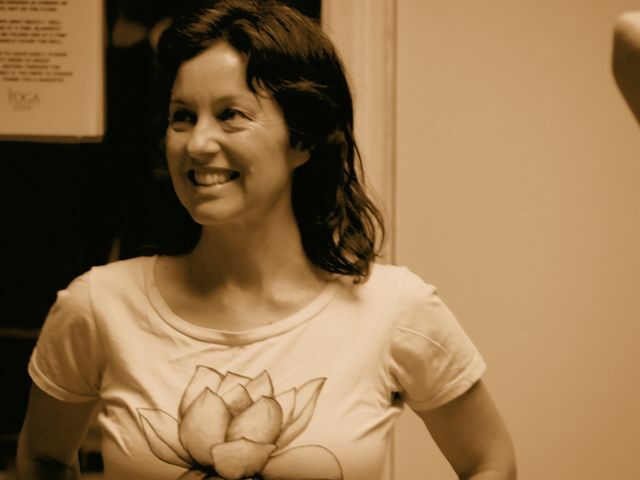 She is an Anusara affiliated instructor who has trained with John Friend, Ganga White and Anna Forrest. 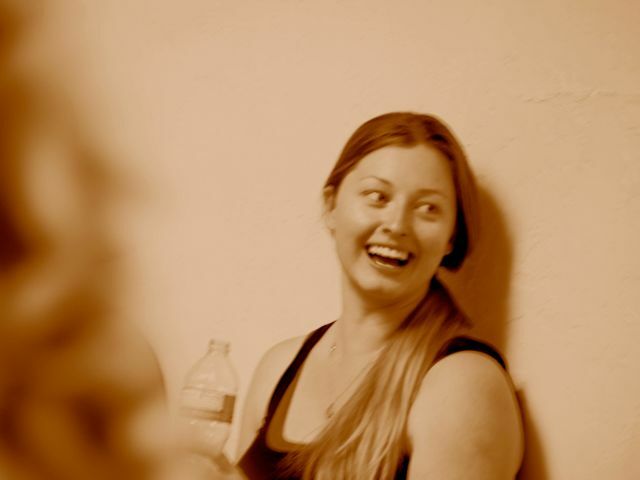 She has experience practicing Anusara, Iyengar, and Vinyasa flow yoga styles. Diana was the Director of Teachers Training at the Center for Yoga in LA from 1985 to 2003 and has trained more than 1,000 teachers. 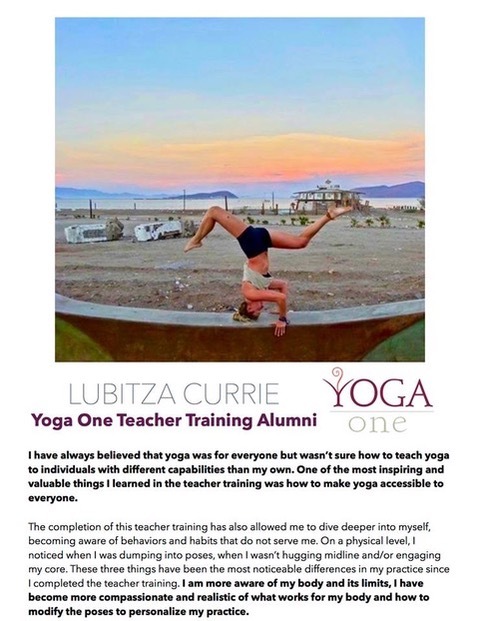 She has co-taught Yoga One’s Teacher Training since 2005. 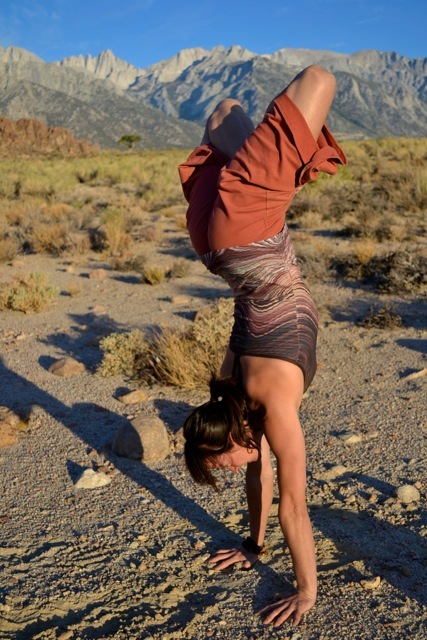 Nam is an E-RYT 500 & E-RYT 200 teacher registered with Yoga Alliance and has been featured on Yoga International. As a student of yoga and functional movement modalities, his yoga classes are grounded in strength, anatomical detail and mindfulness. 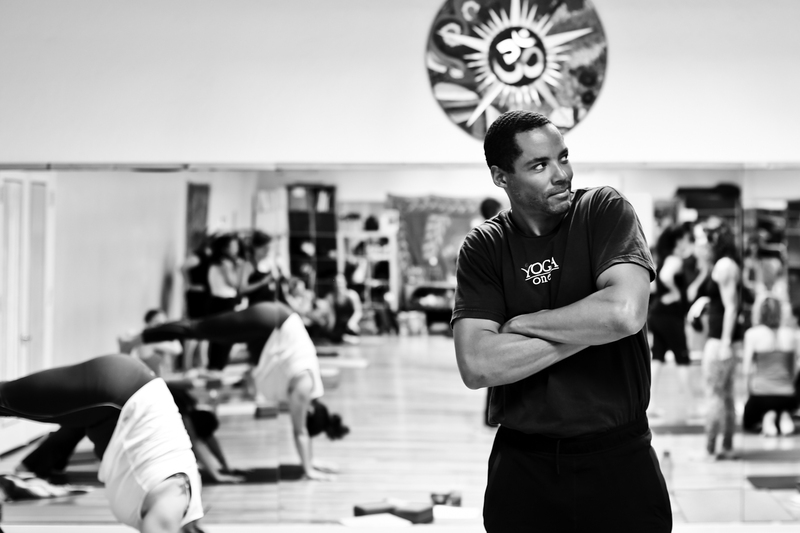 Nam offers detailed verbal cues and expert hands on adjustments/assists to help his students find a fuller experience in their yoga practice. 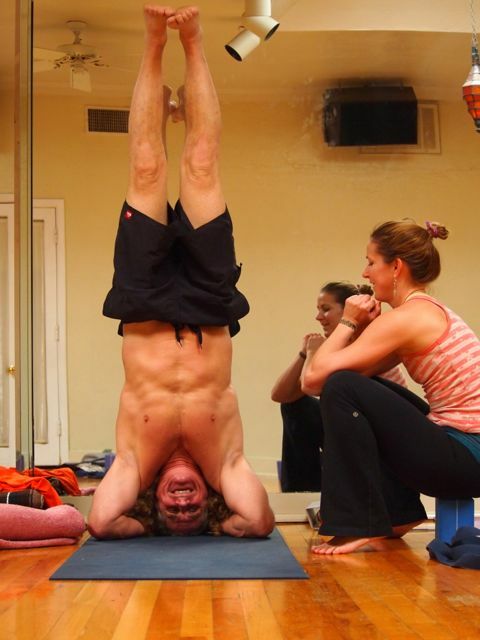 He emphasizes breath and skillful alignment in each of his classes. 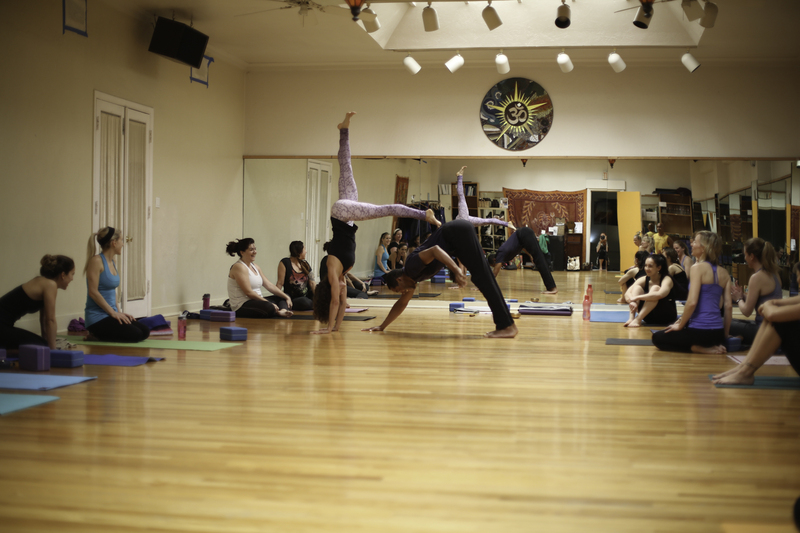 Whether in one of Nam’s restorative or vinyasa classes, students can expect to explore their strengths, work on their focus and learn to find balance on and off the mat. 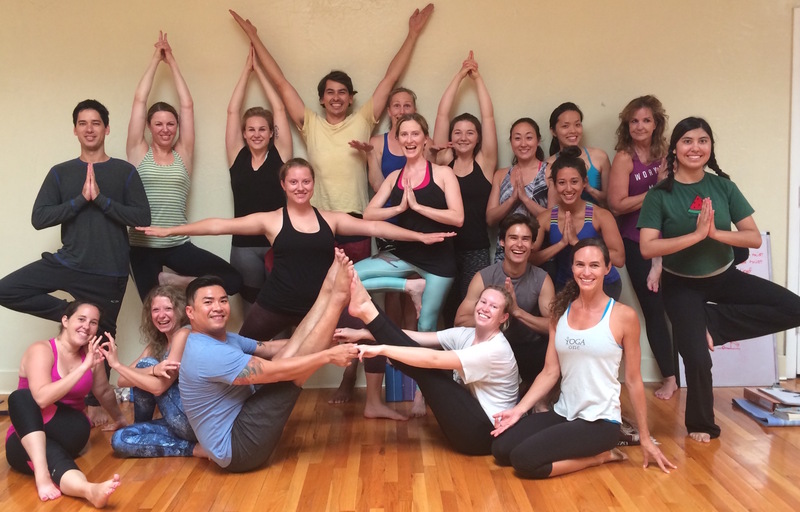 As a YACEP (Yoga Alliance Continuing Education Provider) educator, Nam also enjoys helping students as well as other teachers further their study and understanding of yoga and movement. I have to say thank you again for last year’s training. It has deeply influenced my business and helped many of my existing clients with alignment, awareness and posture. I’d like to relay many thanks from my clients as well! Yoga One exceeded my expectations of what I thought I would be learning. I have gained so much knowledge about yoga, its history and philosophy as well as proper alignment in postures and how anatomy factors into your practice and that of your student. Although I am currently an instructor, I am excited to put everything I learned into practice. 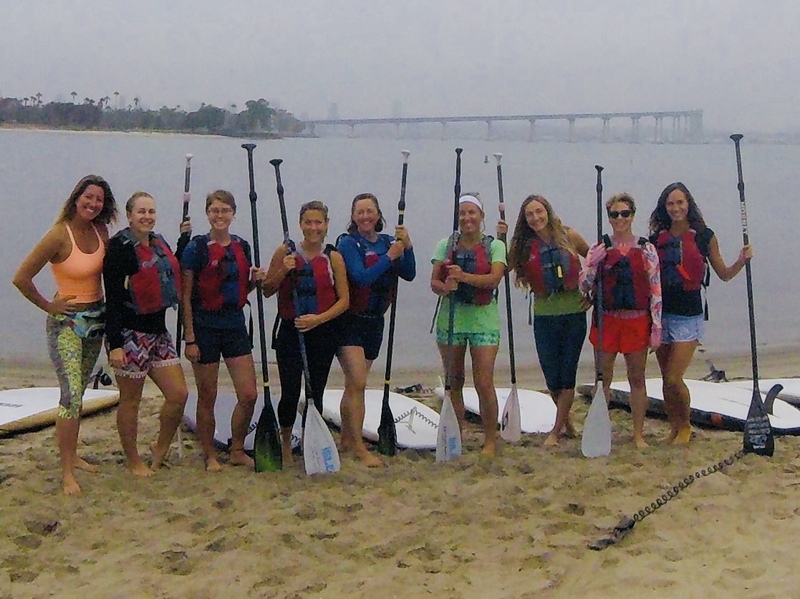 This course made me a more confident and knowledgeable instructor than I was before. I am forever grateful to the instructors and these tools that I can now add to my yoga toolbox. At the end of the course, it wasn’t just a studio, they became an extended family. Yoga One’s 200 hr training was absolutely great! From start to finish, this program was perfectly balanced and detailed (without feeling dry or rigid). 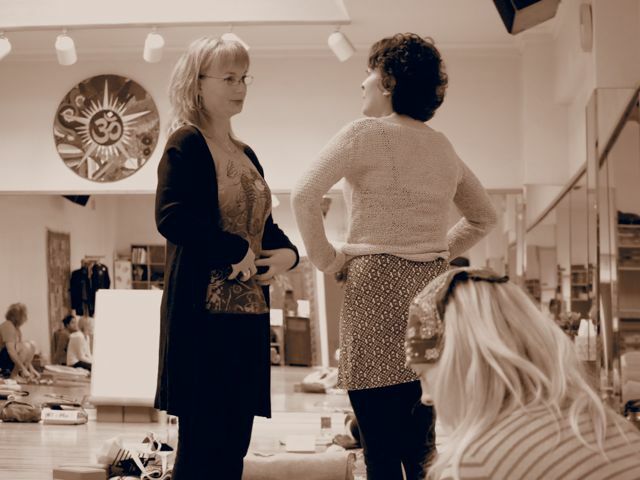 Each instructor brought their own style and expertise, and all offered a nurturing and encouraging learning environment. This training has a wonderfully balanced focus between philosophy, alignment and foundational elements, and it is quite clear that each instructor continues to practice what they preach (and it never felt like preaching – it felt more like learning deeply from a wise group of very conscious friends!). I received an incredibly full foundational knowledge and am looking forward to further trainings with Yoga One in the near future! THANK YOU! I love YOGA ONE !!! I did my Yoga One Teacher Training here and it was a great three weeks during summer 2017 with knowledgeable teachers, deep discussions and I walked away with some great friends and love for yoga! “Thank you so much for this wonderful opportunity. I found strength in both my body and my mind that I did not know I had before. Every day I was pushed to the limits of my comfort zone, and carefully and respectfully guided to grow. I learned so much from the philosophy lectures, and have enjoyed looking at life from a new perspective. I appreciated how Amy, Nam, and Hillary met me where I was and encouraged me to do more than I thought I could do. Thank you to Missy, who encouraged me along the way and checked in with me often with an empathetic ear. 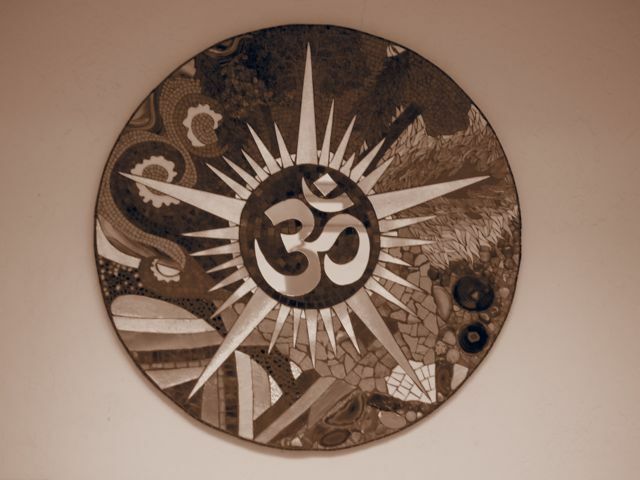 I am forever grateful for having found Yoga One…every time I walk into the studio I feel whole and peaceful. From the bottom of my heart thank you for the Teacher Training and for giving my the opportunity to be able to teach others. A huge thank you to you and Amy for all you do and have taught us. It has been an experience I will cherish for the rest of my life. Namaste! Hi Amy – You Rock! You are a phenomenal teacher! I had such a great experience today. I have scoliosis in my upper back and experience a lot of challenges getting my “wings to touch.” The back bends felt great!!! My back hasn’t felt this good in a long time! I anticipate feeling so much more open & aligned this week. Thank you, thank you!! What prompted this email was an abundant feeling of gratitude. I successfully accomplished my first semester as a teacher at University of San Diego. It went so well, they re-signed me for the same curriculum section in the spring AND extended an offer to three additional group fitness classes! I cannot thank you enough for the enriching experience I’ve had both as a student of your training, and as a teacher in the community. The by-product of the training has been tremendous. 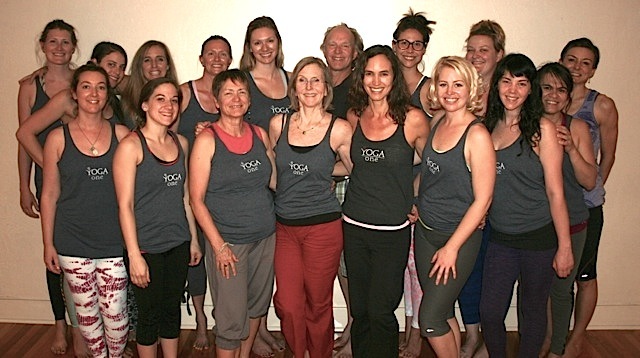 The insight to my own personal practice alone has gained so much depth…as a teacher, the smiles, gratitudes, blessings, the positivity I’ve witnessed are sooooo fulfilling, and it wouldn’t have been done without you. Lots of love. 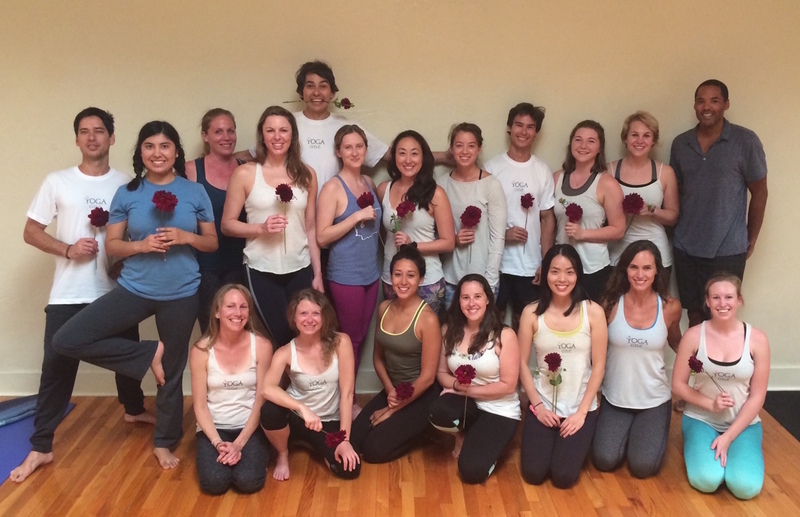 Yoga One’s training program was amazing and truly life-changing for me and my practice. After completion of the program I feel extremely prepared to teach others and instruct classes. This program and everyone in the studio are exceptional and I am truly grateful for the experience. I went back to school this semester, at SDSU for physical therapy, ALL due to Yoga One’s Teacher Training being the tip of the iceberg. I would like to truly thank Yoga One for the experience of a lifetime!! This program (the Yoga One Teacher Training) changed my life and opened my eyes to so much more to learn on my lifelong journey! Yoga One taught me exactly what I need to know to venture out in to the yoga world on my own. I feel confident in my own practice, as well as my teaching. Amy and Michael were absolutely incredible! The YTT course was everything I hoped it would be and more! A truly valuable experience I will treasure forever. I am forever grateful for the TT experience. The meaning of yoga has evolved for me since embarking on this journey, and I plan to be a student of yoga for the rest of my life – using the tools and nuances I learned from my Yoga One family to bring my understanding of yoga well beyond just asana practice. Thank you so much for your wonderful teacher training course and for all the personal energy you put into each of us and your teaching each and every day. I think you are amazing and talented and learned so much in such a limited time. You both exude health, happiness, vibrancy and intelligence, a byproduct of your yogi lifestyle and will continue to inspire many other students who embark along the same path. Thank you for everything you and Amy put into the program. It was truly a life-changing experience and I could not imagine a better place or group of people to have done my teacher training with. I think of you and my YTT experience daily. The other day I taught my 3rd class …Whenever I’m asked about my training, the only words that come out of my mouth are superlatives: fabulous, outstanding, extraordinary, fantastic. 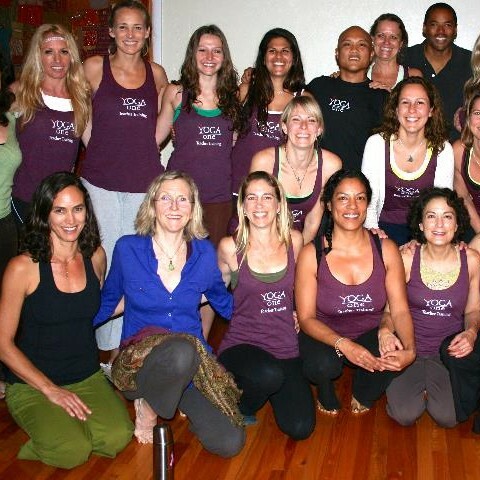 My time with the Yoga One family was priceless. I am truly grateful for you all, and know you are the BEST studio around 🙂 Your Teacher Training changed my life for the better, and I am forever grateful. 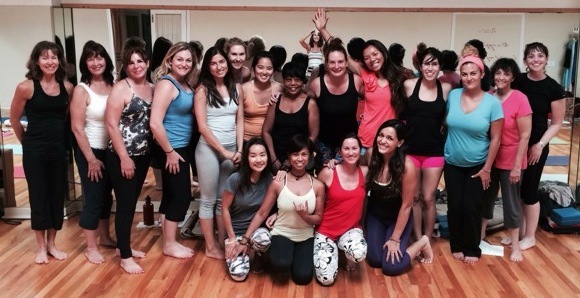 I want to let you know how grateful I am to go through and experience your awesome teacher training. The teaching experience was great and so was getting to meet all the wonderful people there. Thank you for all your support. I was retiring (yay!) from a long and rewarding career in corporate accounting. The last dozen years or so were spent with troubled companies who needed a thorough housecleaning and/or revamping in order to position them for sale. It is much like buying a fixer-upper house. You are excited, work hard, sell it, then you are drained and have no place to live. Much of what I had to do at work involved tough love. Mentoring and rallying the team was fun but letting the non players go was the hardest part. My yoga practice helped me stay sane until I finally had enough. I decided to change my life, quit work, enroll in landscape architecture classes and take my yoga practice up a notch by getting my teaching certificate. About as far from corporate accounting as I could get!! I was a month into my landscape and YTT (Yoga One Teacher Training) classes and I realized I found myself living in a KIND environment. I’d never lived like that before. Not growing up, not in my married life, and certainly not in my career. Sure, I tried to be kind and there were kind people along the way but never an entire environment that focused on kindness. I had no idea that people lived that way. That everything some people did was centered around kindness and thoughtfulness including surrounding themselves with other kind and gentle people. My landscape classes were less of a rarified version of the YTT classes but they, too, had a much greater dose of kindness than any of my past lives. WOW! What a wonderful revelation! I learned more about me, my body and my practice in the last month than I’ve learned in the last year! I think the alignment principles we learned completely changed my practice. I started seeing yoga as a whole and not just asana practice. I think this course completely changed my awareness and consciousness of my body and opened a lot of inner doors that I did not know [existed]. Amy & Diana are rock stars! The general energy of the classmates was very inspiring. It was great to devote so much time per week to yoga. This course inspired me to share yoga (with self and others) with more confidence and understanding. As a student I enjoyed being present, sharing with and learning from the beautiful teachers and students. I felt supported in working out the balance of taking the course and living my life. Learning the varying approaches to asana from discipline to discipline was insightful. Awesome studio! Awesome studio owners! I like you guys! I don’t know how long, if ever, it would have taken to reach this new awareness. 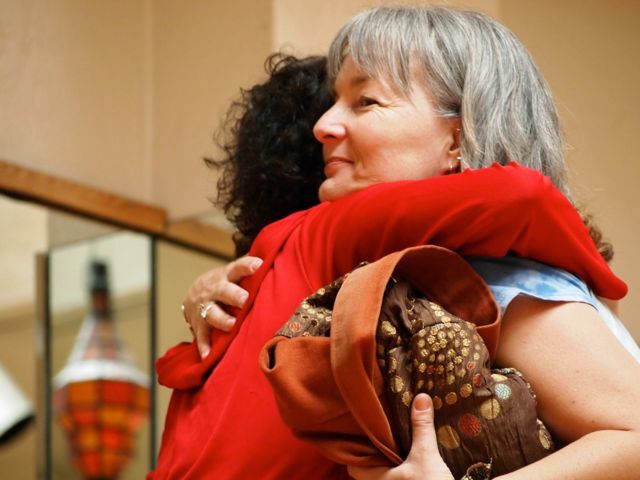 I wouldn’t have had as deep of an understanding – the need for the understanding of the shoulders and pelvis —the “hugging in” concept is so valuable! Priceless…something I can grow from—a starting point. By example, Amy, you’ve shown true grace with your full being and will serve as my “Guru” in my mind’s eye when I struggle with grace and finding peace. Truthfully…this is possibly the most valuable gem I came to experience. Thank you. There truly was a great balance throughout the course. Teaching in a round robin like setting was eye opening for me—doing it in a circle rocks! I have told everyone I know [about the course] it was an amazing experience and that Amy & Michael are so kind, sweet and informative. You two have tapped into something very special. Keep offering teacher/yoga training at least two times a year or one for each season. The manipulation of shoulders and back was so transformational for me. The philosophical side is so important for one to truly understand yoga and teach it effectively and with integrity. I find [I have] a more balanced practice. [The training’s] holistic and comprehensive approach is invaluable to the beginning teacher and continuing yoga practitioner. Thank you. I learned how to approach yoga from many different angles. Through thought: the philosophy behind the practice was new to me and I found it very helpful to learn yoga as a way of life beyond exercise. Through asana and anatomy: I learned the many ways in which we take for granted the use of our bodies. The classes taught me other helpful ways of being in the body. Through practice: I learned the value of steady practice. I really enjoyed finding out all the different reasons why people do yoga and how to approach yoga from many different directions, i.e. spiritual, physical, daily practice. This understanding can only happen in a group setting where people get to know each other through one activity. I learned a lot about my own resistance to daily practice and trying to work with this instead of against it. [The teacher training course] is a great way to focus on something you love that can bring health and happiness to the world. You made a safe and fun environment for us to explore ourselves and each other through yoga. For those of you who know me well and are around me often enough…you know how I feel about Yoga. You hear me go on and on and on and on about it…..
Well, since starting my training I can now say….my feelings HAVE most certainly changed. I have gained the most intense respect & deepest appreciation for the practice on a dimension than I ever could have imagined. Yoga Asana is essentially maintenance, understanding, appreciation, and the honouring of our bodies and the awareness of where we are at physically, mentally, & emotionally at any given time. Just as we service and maintain vehicles so that we extend the quality of running life and get the most use out of it, so must we maintain and service our own selves. Our own vehicle that is getting us through this one life…this one existence. What I am learning in training has already transformed my own practice in addition to giving me the tools to extend this knowledge to those around me! Thank you so greatly Ms. Amy and Mr. Michael. Once again, I had learned so much from your Yoga Teacher’s Training and having amazing yoga Instructors at the Yoga One Studio. I would not be where I am today without the proper training, knowledge and guidance from my lifetime yoga mentors. My self funded KIDS?? ?YOGA 2 Program is thriving after a year and a half, serving the community of Guam, especially the children. 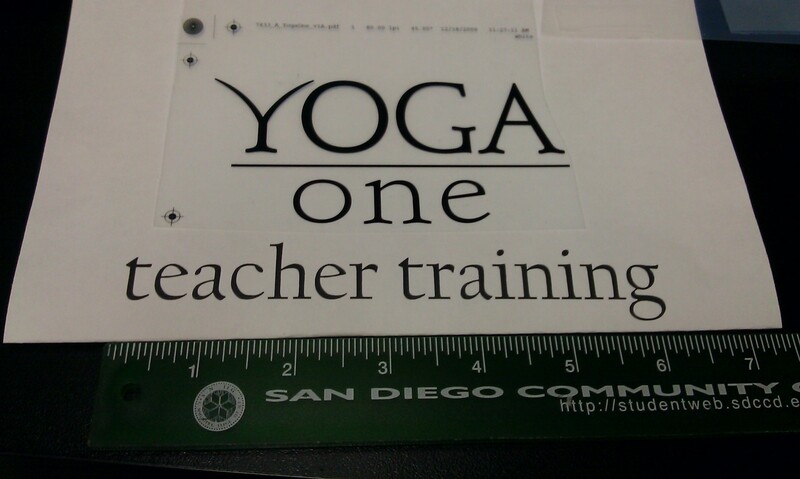 My Yoga t-shirt business was such a big help to support my program. It’s been a few weeks since the end of training, and I just wanted to touch base and let you both know… The whole experience, even answering the final exam questions with reflection, is so rewarding. Please know that I’m learning and growing – With gratitude. Thank you! I am glad I completed my Yoga Teacher Training with Yoga One. I am now happily teaching yoga at my university. I will make sure to come by the studio during my breaks! Thank you for this wonderful opportunity, I have learned so much and am so grateful for your time and effort. I am so glad I had this experience at Yoga One. Namaste and lots of love. 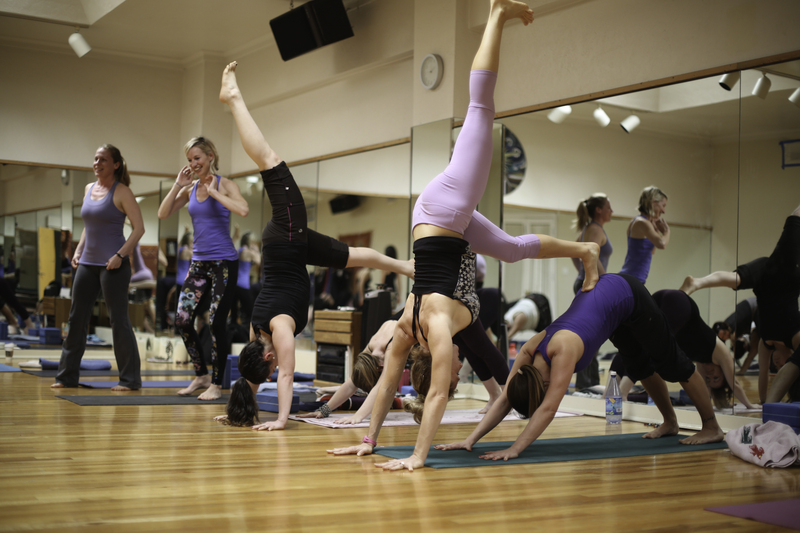 How did your experience of yoga or personal practice evolve over the course of Yoga One Teacher Training? I learned to be more aware of my alignment to avoid injury. I also learned that everything is core work in yoga! – Courtney B. My relationship to yoga became more intimate. I think of yoga all the time now. I constantly recognize relationships between contrasts such as inhale/exhale, backbend/forward-bend, warming/cooling, energizing/relaxing, busy/reflective, light/dark, sun/moon, new/old, and past/present to find the balance in each. 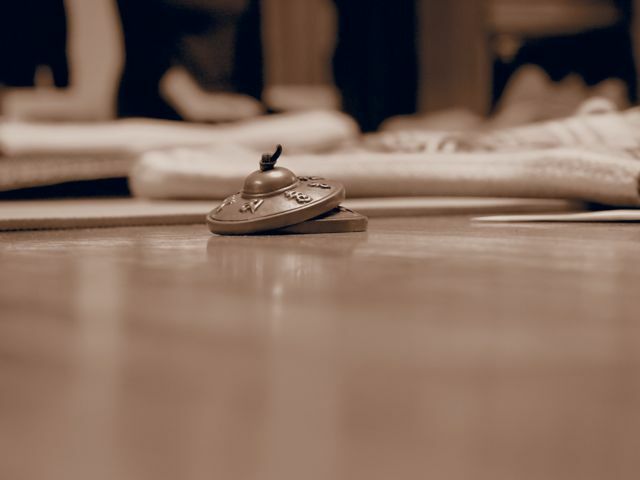 – Hannah F.
While I had attended yoga classes at Yoga One four or five times each week, prior to teacher training, I had not started a personal practice. Now I practice at home as well as at the studio. 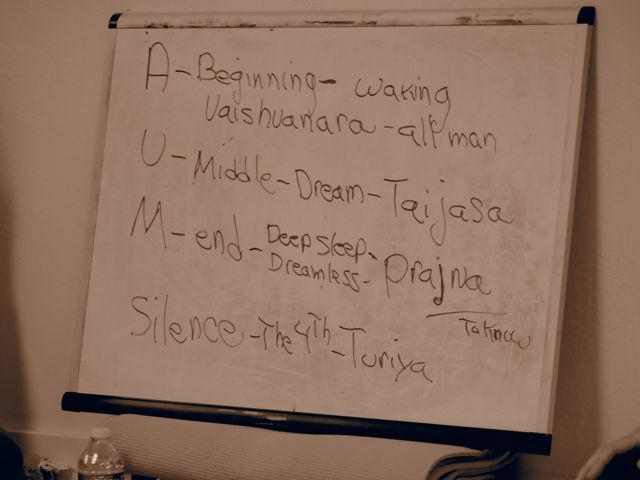 I enjoyed learning about the history of yoga, both in class and from the readings. 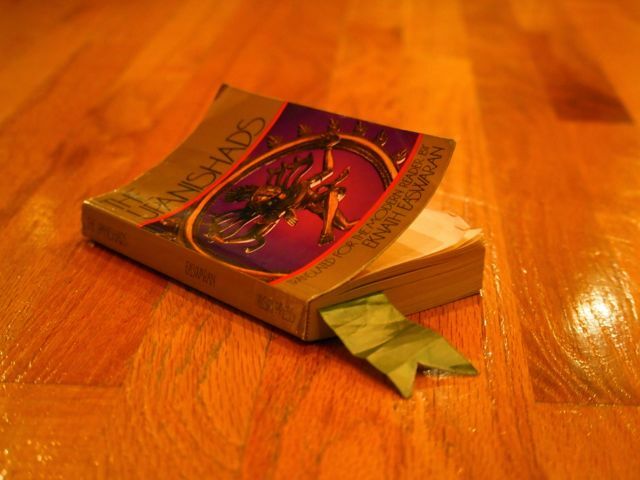 The teachers’ manual that Yoga One put together is a wonderful resource. – Laurie A. My relationship with yoga had refined by the end of the course. 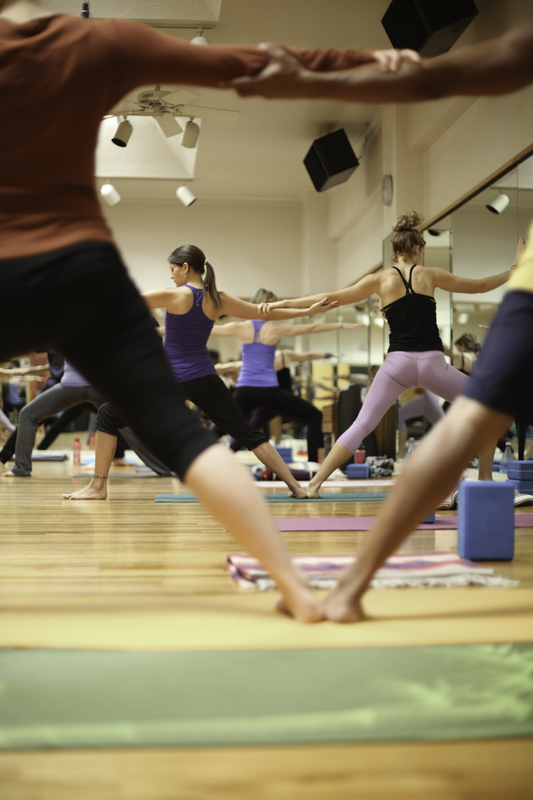 Yoga is being present and giving enthusiastic attention to your journey on and off the mat. It is connecting to your spirituality (whatever that may be) through a deeper exploration and understanding of your own body and breath. – Kristin S.
What was the most valuable piece of information you learned? I learned how to keep my shoulders integrated in every pose. I realized I had previously had improper shoulder alignment and was constantly sore from it. Now I experience very little soreness keeping my shoulders aligned properly. – Courtney B. The most fun aspect of this course was the friendships that I developed with the other trainees. We all had an element of vulnerability as we practice-taught on each other and shared the challenge of the breakdown and rebuilding of a new understanding of yoga as a complete body/mind experience. – Hannah F.
Just learning the basics of alignment. I can finally find my balance in Vrksasana (Tree)! (Well, not always, but I’m a lot better.) – Laurie A. That the journey is what matters most, not the destination. I find so much peace in that. 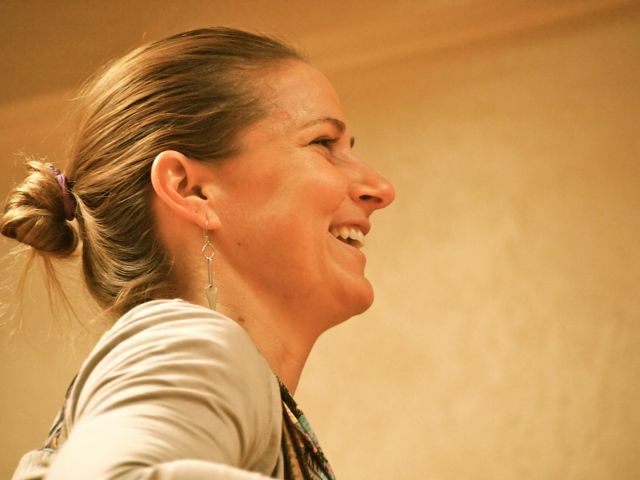 – Kristin S.
The specifics of asana, yoga philosophy, and anatomy were thoroughly taught by incredibly competent, patient, and generous teachers. The content was beautifully organized and taught in large yet manageable chunks. The sense of community between trainees and the nurturing learning environment facilitated by the teachers created a really rewarding and fun experience. 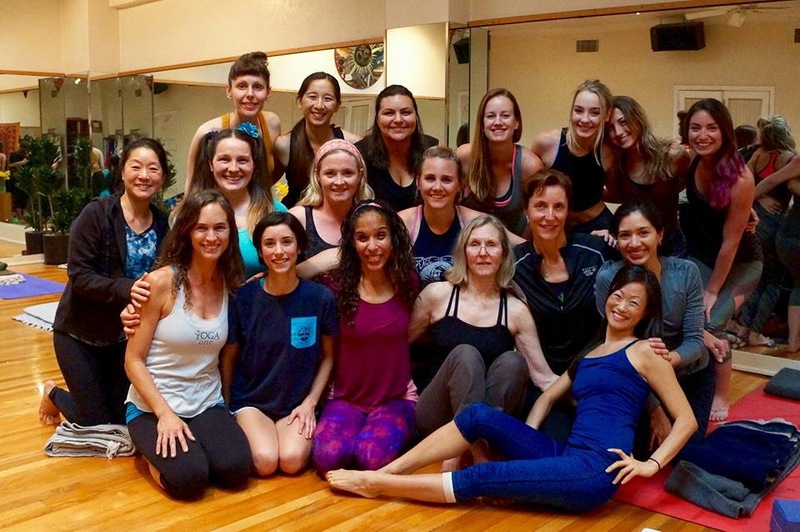 – Sarah S.
It made me more aware of my own body while doing yoga! I am constantly adjusting myself during my practice, whereas before I didn’t really put much effort into my alignment. – Courtney B. There is more to yoga than asanas (poses). And I learned that I don’t have to do the asanas perfectly. In fact, I have all the time in the world to improve! 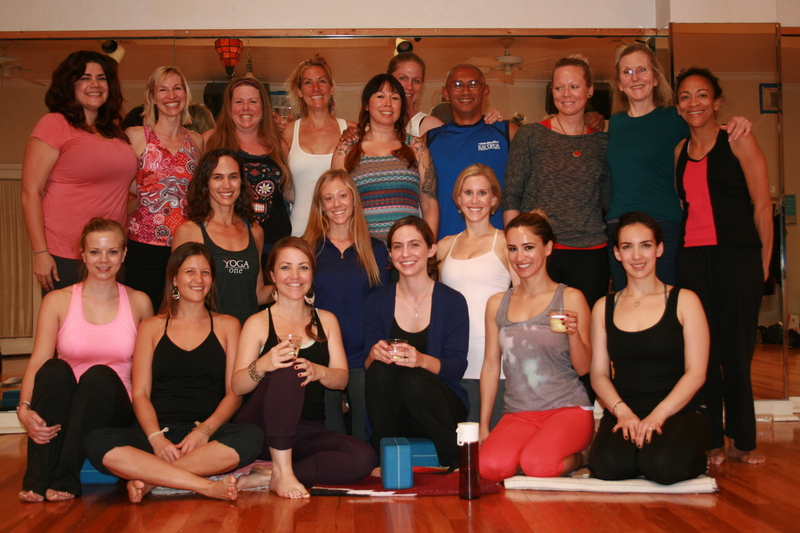 Yoga One Teacher Training also impacted my life by introducing me to some wonderful people. I was one of the older participants and I enjoyed the diversity of participants and instructors. We came from all over the globe. We had different past experiences in yoga and brought different hopes, dreams and plans to our yoga mats. 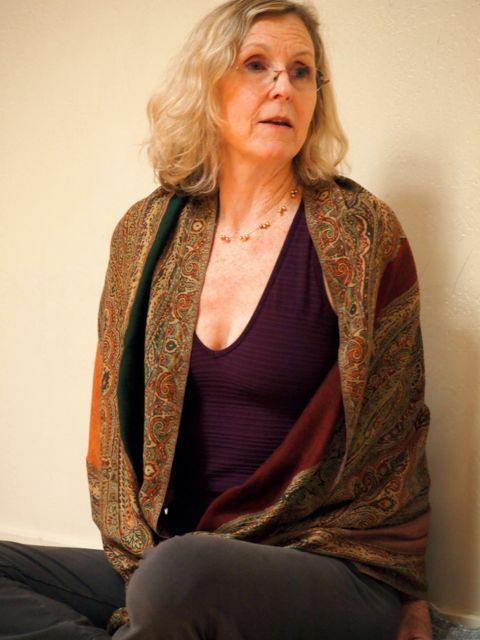 – Laurie A.
I find more harmony in my practice and the little universe on my yoga mat. By incorporating yoga daily I find that harmony in all aspects of my life more and more. It is a constant effort and learning exercise but practicing yoga with intention on and off the mat is what it is all about! 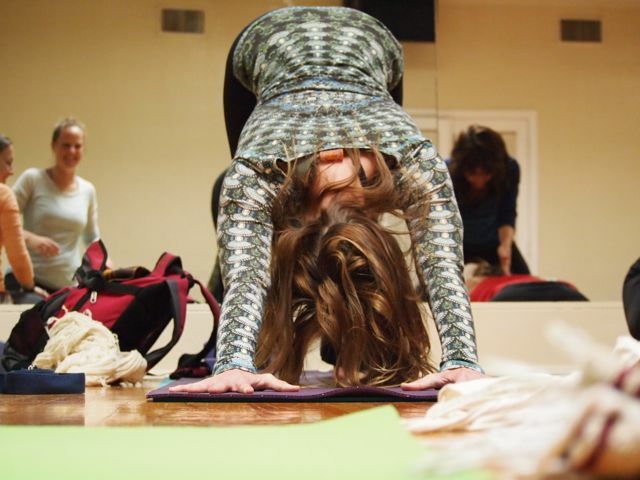 – Kristin S.
2019 Summer Yoga One 200-hour Teacher Training Immersion. Education to Enhance your Evolution. Yoga One Trainings blend modern alignment and bio-mechanics with mindfulness and yogic philosophy. Our intention is to further empower knowledgeable, skillful, confident and inspiring teachers. (For teachers who already hold a 200 hour certificate.) Click here for a flyer.